When you receive a donation, the donor needs a receipt. It's also a best practice to acknowledge you received their donation and thank them for their contribution! 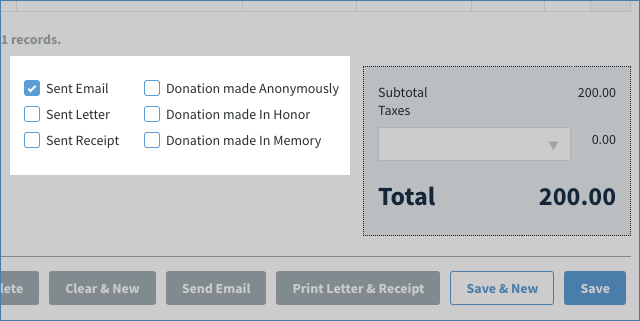 With Method's Donations App, you can provide thank you letters and receipts in both paper and digital format. The following steps will show you how to email a letter and receipt to your donor. Edit the subject and body in the fields on this screen. This only affects this email and will not change your template. Click Edit the email subject and body near the bottom of the screen, which redirects you to your App Preferences screen. Changes there will change the template itself. In both cases, do not change the receipt URL. If you alter the URL, it will not work. When you are satisfied, click Send. You are redirected to your Donations List screen and your email has been sent! 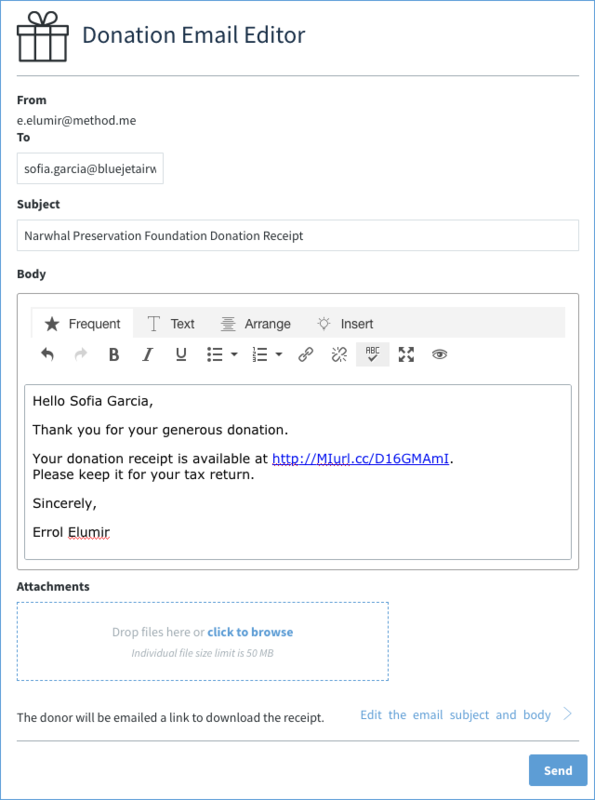 If you go back to the existing donation, the Sent Email checkbox has been checked to indicate you have sent an email and receipt to this donor. If, for some reason, your donor does not receive the email, you can resend it at any time by following these steps again.